Are you tired of being in a constant battle with your body? It's time to stop fighting... and start listening. like doing everything "right" is making you exhausted and stressed? overwhelmed with guilt every time you eat the "wrong" food? your body refuses to work with you and being healthy is a constant battle? like you just want to snap and go eat 10 bowls of ramen noodles? Your body's talking to you. You know all those crazy diets and plans that claim to be the solution? Going to extremes is not the answer. 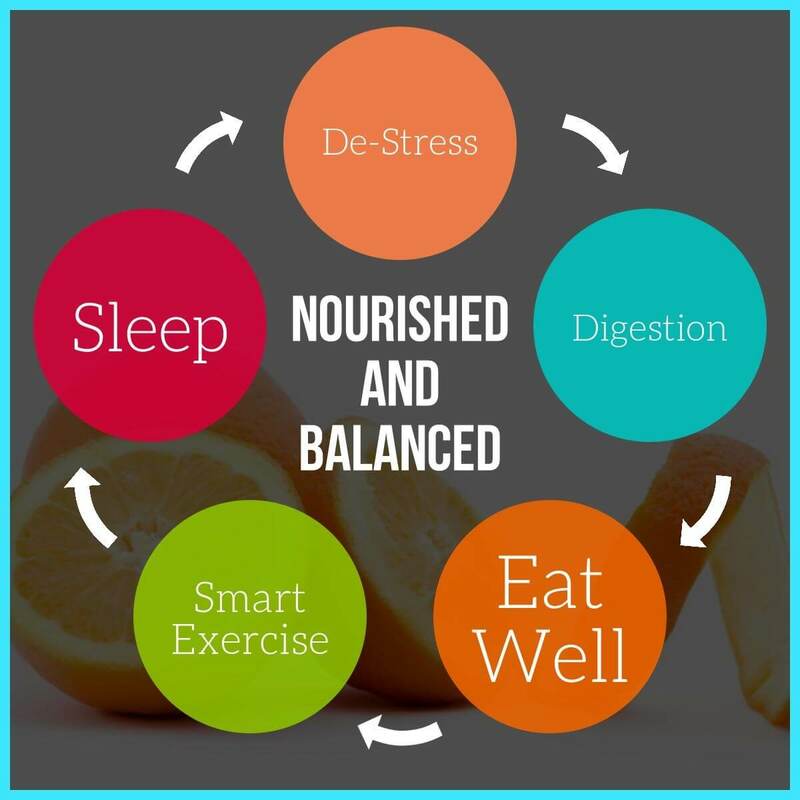 What your body needs is balance. Hi there! 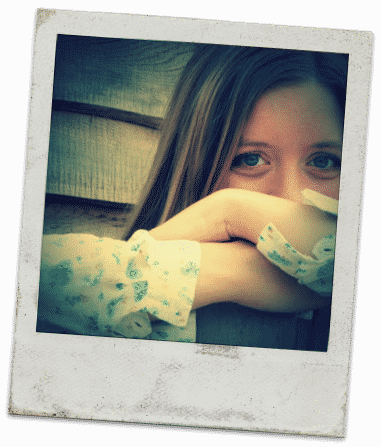 I'm Elizabeth Walling, founder of The Nourished Life, and author of The Nourished Metabolism and Love Your Body. 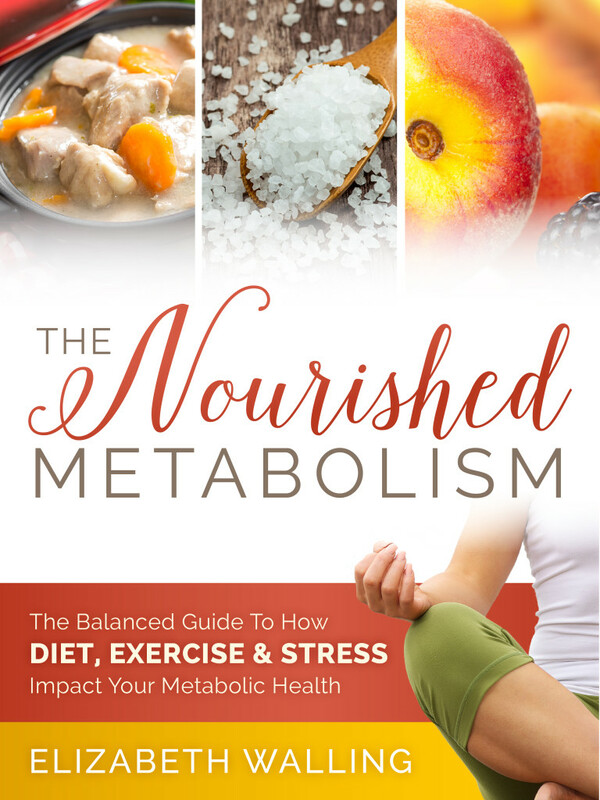 I wrote The Nourished Metabolism because learning how to heal my metabolism is what changed my health and my life. In 2008, I was a tired, snappy, miserable young mom. I was at war with my body, hungry all the time, and obsessed with food. I began studying metabolic health and nutrition, and what have I learned? It's not about eating an ancient berry from South America or avoiding all the foods you love--it's all about balance, small changes, and learning to work with your body. I believe that we don't need another diet plan -- we need to listen to our bodies! After a lot of trial and error, I finally figured out what my body needed (turns out it was much less complicated than I'd thought!). What happened then? I was me again! No more exhaustion, no more crazy mood swings. I was able to let go of my obsession with food, and learned to feel comfortable in my own skin for the first time in my life. I wrote this book because I don't want you to go through the pain I went through -- torturing myself trying to be "healthy" and getting nowhere. This book puts together everything I (eventually) realized is important for living a happy, healthy life. I learned the hard way, but you don't have to. Health starts with your metabolism. But if your diet and lifestyle don’t support your metabolic health, you'll be left feeling tired, moody, and stressed--and wondering why all this "healthy" advice you're following isn't working for you! These changes will bring your metabolism back to its optimal state–a state where things like low energy, insomnia, poor digestion, low body temperature, dull skin, and mood swings become the rarity instead of the everyday. 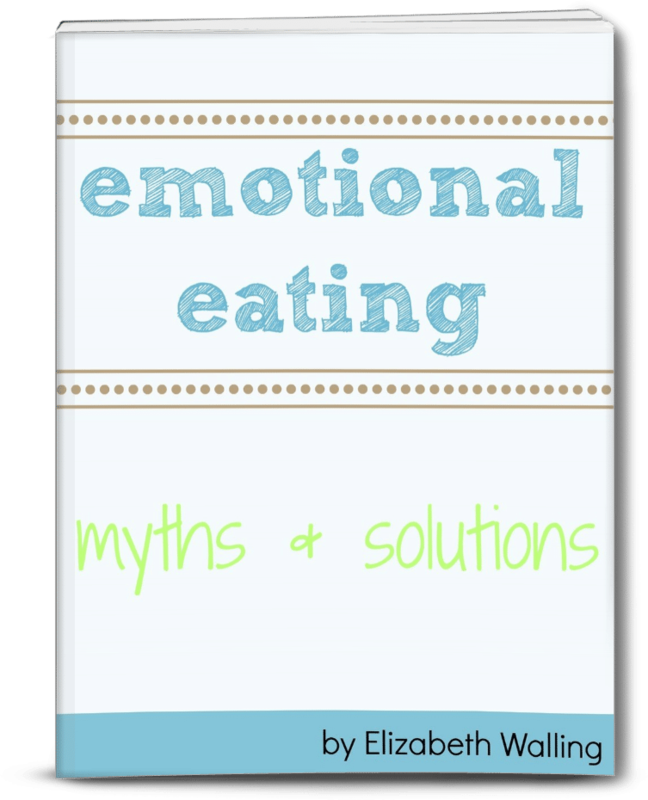 When you order The Nourished Metabolism today, my guide Emotional Eating Myths and Solutions is yours for free, because I know how often emotional eating and metabolic challenges go hand in hand. This guide is not available for purchase anywhere. Normally priced at $9.99, it will be added to your order at no cost to you. Enjoy! You'll get my eBook and free guide to download instantly. I want this book to make a difference for you. If you’re not happy with your order, please email me within 30 days and I’ll be more than happy to refund your purchase. No questions asked. I was already familiar with some of Elizabeth's work prior to reading this book, so I knew I would be able to trust her on what she says. Needless to say this book definitely delivers, and I was able to connect personally with many of the health related issues described in every chapter! Having a simple, yet detailed, explanation for many common issues I have was very relieving. I will definitely be recommending this book to anyone I know who is interested in living a better, more nourished life!" I just finished reading it, and I LOVE your book. You broke everything down so well, and it opened my eyes to several things I'd wondered about lo-carb long term, or other restrictive diets. Bravo! I've spent a ton of time and money over the years looking for the answers to my health and metabolic issues. It has only been through trial and error that I've found the answers. As I read through this book I couldn't help but think how I wish I could have read it five years ago! I would have been spared the stress and confusion I experienced following the dietary advice of many Health and Nutrition authors. 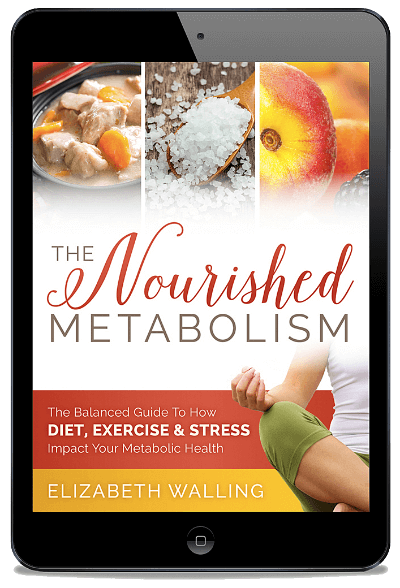 The Nourished Metabolism covers all the important aspects of health in a way that is easy to understand and follow. I highly recommend this book to anyone who is looking to live a healthier-nourished life! This is hands down one of the best books I have read in years!! For years, specifically my younger years, I was a yo-yo dieter. 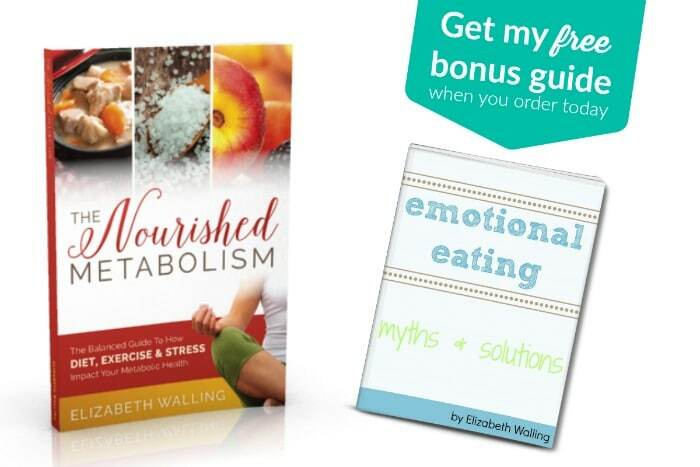 Little did I know then that I was damaging my metabolism and it wasn't until I found Elizabeth's book, The Nourished Metabolism, that I started the healing process not only for my metabolism but for myself! This book isn't just for you, once you read it, you will quickly want to pass it on to all of your loved ones! I treasure this book, it is that good!! I probably recommend this book to my readers more than any other. 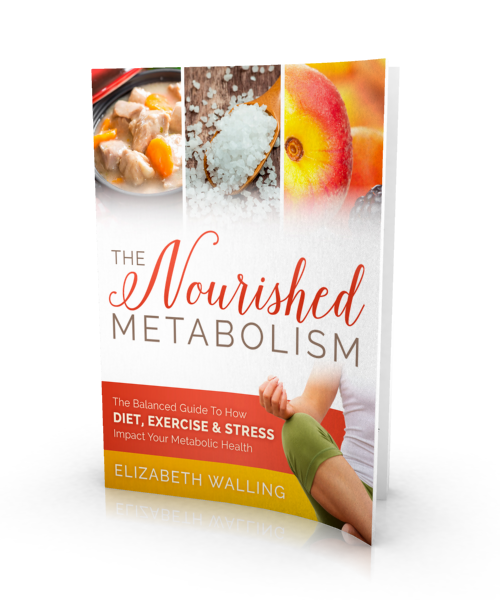 Elizabeth is right on the money and offers real, practical advice that will help people heal their metabolism and enjoy eating again. No diets, no fads, no crazy nutritional dogma. Just honest, helpful information to create a healthy relationship with food and a thriving body. The most helpful book I've ever read. Having been on diet after diet, and my body all the worse for wear, I feel like my body is finally healing. Blood tests are proving the same! Thank you Elizabeth! Reading this book completely changed the way I think about my metabolism! Hearing the word "metabolism" used to make me think of extreme diets or hours spent killing myself at the gym, but reading The Nourished Metabolism helped me to realize how wrong that idea really was. This book taught me to take care of my metabolism and my health in a balanced, stress-free way that suits my body's needs. This book is a must-read if you want a healthy metabolism without all of the stress of extreme diets and exercise!